Regardless of how well your company inspects, maintains, and installs the proper hydraulic hose assemblies for your heavy-duty equipment or machinery, there will come a time when replacement must be performed. Even with the correct Fall River hydraulic hoses, connectors, and installation, a continuing maintenance program must be implemented and enforced to reduce the safety risks associated with failure. To protect your essential equipment, employees, visitors, and business, it is crucial to replace worn hoses as soon as damage is noted or suspected to ensure hydraulic hose safety. Hydraulic hose services are instrumental in the ongoing maintenance of hydraulic equipment, providing that the materials used for replacement are custom built according to your needs and the equipment manufacturer’s specifications. There are certain things to look for when performing a visual inspection of your Fall River hydraulic hoses. For optimal hydraulic hose safety, your employees should be properly trained and provided with safety gear, even for a visual inspection. If any indications of potential damage, wear and tear, or cracking are visible, a complete shutdown of the machinery must be enacted and all employees removed from the surrounding area for added protection. 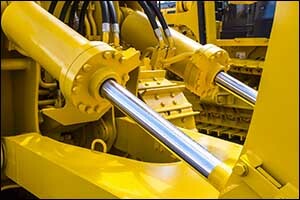 The hydraulic hose assembly must be replaced immediately before the equipment or machinery can be used. In addition to the hydraulic hose services for visual inspection, the rest of the components for the hydraulic hose assembly should be checked at the same time and on a regular basis. Look for items that may appear to require tightening, repair, correction, or replacement. Any signs of leaking port conditions, as well as clamps, guards, or shields that appear worn, should be cause for alarm and immediate replacement. Also look for excess dirt buildup, which could be a sign of contamination or leaks being present, as well as signs of air entrapment of fluid level issues within any of the equipment components. Another maintenance requirement that should be performed regularly, is a functional test of the equipment of machinery. Hydraulic hose safety mandates that all employees in the area of the equipment being tested should be properly equipped with the required safety gear. Any employees not involved in the testing of the equipment should avoid any potentially hazardous areas near the machinery during the testing process. In the event that cracks, excessive wear and tear, or potential failure issues are identified, replace worn hoses and assemblies right away using proper hydraulic hose services. Start by operating the system at the maximum operating pressure. While this is being done, visually inspect the system for any possible malfunctions or leaks. Employees should never check for leaks with their hands – even if they are wearing gloves and other safety gear. Follow all manufactuer guidelines, OSHA regulations, and other safety recommendations throughout this entire process. The goal of a functional teste is to ensure that your Fall River hydraulic hoses are not operating outside of their published maximum working pressure and that all surge or peak pressures remain below this point during operation. If you are in need of custom hydraulic hose services in the Greater Fall River, stop by Metro Industrial & Marine Supply in New Bedford, MA. Our team of highly trained and experienced technicians can provide services to help you replace worn hoses and ensure hydraulic hose safety at the workplace or job site. Give us a call at 508-996-8400 to speak with one of our team members about your needs for Fall River hydraulic hoses and custom hydraulic hose assemblies. We can answer any questions that you might have about our services and provide you with a wide range of other industry products, services, and supplies.